Successful Business - Guidance for smooth journey. A guidance to create successful business journey. 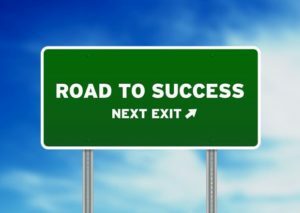 This blog covers the nuances that revolve around the journey to become a successful business owner. It concerns how one should work smarter and how one should gauge their possible shortcomings in order to ensure a smooth path. One should pay attention to the all the details like finances, contacts, work hours, competition and how to eliminate the effects of it. Hiring a franchise consultant can also ensure a smooth process. Imagine this: a broad desk, papers and pens organized systematically across it and then, there’s you, typing away on your computer, looking up briefly to greet your employers. That, I hope, sounds extremely inviting. Having a platform to see your ideas played out in the business field is quite the entrepreneurial dream. Unfortunately, this dream – this dream is quite hard to reach. Now, of course, the aforementioned statement isn’t the best motivational statement to put out there. But, most aspiring entrepreneurs know what to expect. The business world is an extremely competitive world, one that thrives on hours of countless efforts and sleepless nights. Let’s take you through what makes one a successful business owner. Work smart, not hard: A clichéd idea of an entrepreneur is one who stays up and the picture painted is quite daunting. Who wants to give up their beauty sleep forever? The best business owners around the world emphasize how one should work smarter, not harder. Overworking leads to fatigue and exhaustion which eventually leads to a lot of errors which, unfortunately, paves the path for failures. Failures are what makes a person who they are but given a chance to avoid them, we’d all stand in line. In order to do this, one should hire a team of people with different interests thereby ensuring that attention is paid to all the areas that require attention. Know your market: One of the most important elements in understanding how to plan out a good business idea is to understand the market. In order to do this, one has to have a clear idea as to who they should sell to and in order to do that, who they should contact. Now that one’s target market is fixed, they need to understand potential factors that could prove to be a risk factor to their potential company. Eliminating such risks is beneficial to work out a clearer idea of how they should go about different challenges and opportunities. Analyse the competitive perimeter: Understanding and having an overview of the competition is also very important. One has to keep time away to understand the shortcomings that could come about as a result of competitors. It is key to plan out methods to avoid it or cope with it. There are possibilities that one is not successful in pushing their product in the business world because the saturation that the market has faced or is going through. One should pull through times like these. Get your finances sorted: One should keep in mind the capital required to conduct a certain type of business. A blind eye towards finances will cost one (metaphorically and literally) a lot more in the future and because of how unpredictable the prospect of businesses are. In order to ensure aspiring entrepreneurs the smoothest journey to marketing the best business ideas possible, make sure that your steps cover consulting an expert who will make the process a lot easier. Head on to www.sparkleminds.com to meet experienced and talented franchise consultants who have a keen eye in scouring out the best opportunities for you. Let’s get started with making your dreams become reality. Previous PostPrevious Do you want to Franchise your Business? Let not success influence but guide you!! Next PostNext Consult an expert before framing the Franchise Model.